My uncle taught me to never get satisfied with what you have. Always go for more. Today I have a government job but if I stick to that only. I will never get there where I want to be. I always wanted to start an online business & I am trying for it since I have completed my MBA. Finally Freecultr gave me that opportunity to start that business. It is more of a profession. 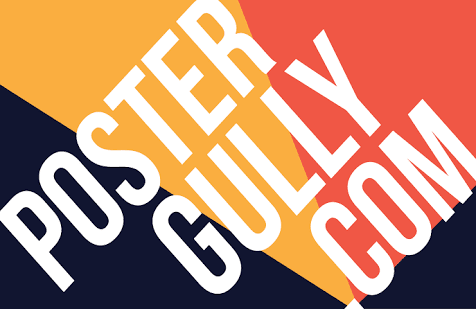 On Freecultr I am designing t-shirts for guys and girls and selling them on their website. 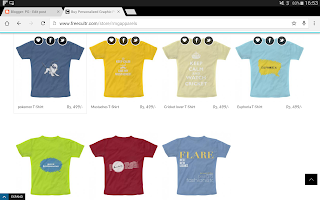 Freecultr has given me my space to design and they call it a tee store where I put my thoughts on my tees. Designing is something which I have never studied but I was interested in it. So it was worth giving a try. I have come a long way to this. I worked in a denim industry for quite sometime in a hope to start my own denim brand but that thing didn't worked out. People has wasted my time and has kept me waiting just because they had that network and knowledge which I needed from them to start my own business. Actually I want to thank all those people who wasted my time and said no in the end & those who kept me waiting, gave me hopes which were never fulfilled. I never wanted a godfather in my life. I was pulled towards those people because of the hopes they gave me. Moreover those people are part of my own family. It was the toughest lesson of my life which my own family taught me. They pushed me to do everything on my own. There are certain limitations on Freecultr & it is very different from having my own brand but it gives me that freedom of my own venture without investing a single penny into it. Only thing I am investing into it is my time and my internet pack. I am trying to make and sell some cool designs on my tee store. I design by keeping various things in my mind. I hope people of this country love it. Success and failure are part and parcel of life but I want this tee store to be a huge success story to me. Whether it is successful or not at the moment I am enjoying it. I am expanding my horizons with it. I am trying to establish myself with the talent and skills god has given me. So let's hope for the best and let my designs do the rest.